Hi guys, today I felt like doing a post about some recent Lush products I've bought in the last month, and I will be giving you the yay or nay, over each one I have purchased. First lets talk about the Lemony Flutter cuticle butter, for a start it smells gorgeous, kinda like lemon curd masked with a zingy orange spice, and the texture is really smooth and creamy. It's a light yellow color and works wonders on your skin, I used it on some dry skin on my hands, and about just 5 minutes afterwards they already felt softer and less rough and itchy, I would definitely recommend this so it's a yay from me!. Next, I'm going to review this bubble bar, I haven't yet used it but I can still give you an overview. First of it looks so pretty, and I love the colors used, the glitter covering it's surface looks dazzling, but as all glitter does, it gets everywhere, and I mean everywhere..., so just based on the looks and smell, which is a citrusy, flowery and sweet blend (how I imagine unicorns to smell), I think I would give it a yay!. Lastly I'm going to talk about the new Lovers lamp bath bomb. and roses all the way soap. I have recently used the soap, and it is absolutely brilliant, not only it look amazing with it's lovely rose-pink color and intricate design, but it smells so good, like a gentle yet powerful rose water scent. When I used it it felt incredibly smooth and left my hands smelling gorgeous for the rest of the day. As for the bath bomb, it is yet to be used, but let me tell you, it literally smells like heaven, vanilla, mixed with strawberry mixed with cocoa, all my favorite scents, and it looks so simplistic but so pretty at the same time, with the little red hearts dotted around the sides. So I would give both products a definite yay!. 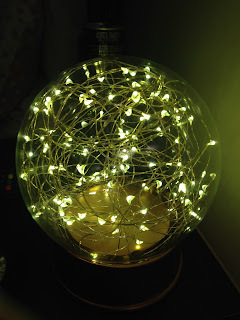 Hi everyone, I've got some great news me and Marti (http://pinksmartiesblog.blogspot.co.uk/) are doing a January giveaway to celebrate the anniversary of Marti's blog and just as a great way to thank you guys for all of your support. The instructions on how to enter the giveaway will be mentioned below, thanks again, and good luck!. The giveaway includes Lush's new, limited edition soap: Roses all the Way and a Fat Face gift set which includes a body lotion, body spray and phone case. Entries close on 17/02/15 at 6 pm UK time and an announcement date will be confirmed later and picked from a hat. To enter all you have to do is comment on this post why you read my blog as well as making sure you're following us both on either Facebook, Instagram @pink_smarties_ @stormy_skypie or Google+ +Abbie Mclaughlin +Marti Stelling. Hi everyone!, sorry I haven't posted in a while, times have been tough and I've had quite a lot on my plate, but now I finally have time to post something!. This week I decided I'm going to talk about things that would make a Tumblr-esque kind of bedroom and how you too can spice up your house with a new and cute theme. First things first I'm going to talk about some decorations and such that I have in my room, and where you can buy them and find them and blah blah blah. 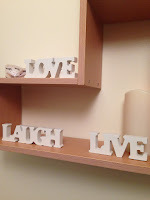 To start with I have the iconic "Love, laugh, live" decoration on one my shelves and also a nice, little what do you call it?, I don't know, wall hanging as well. 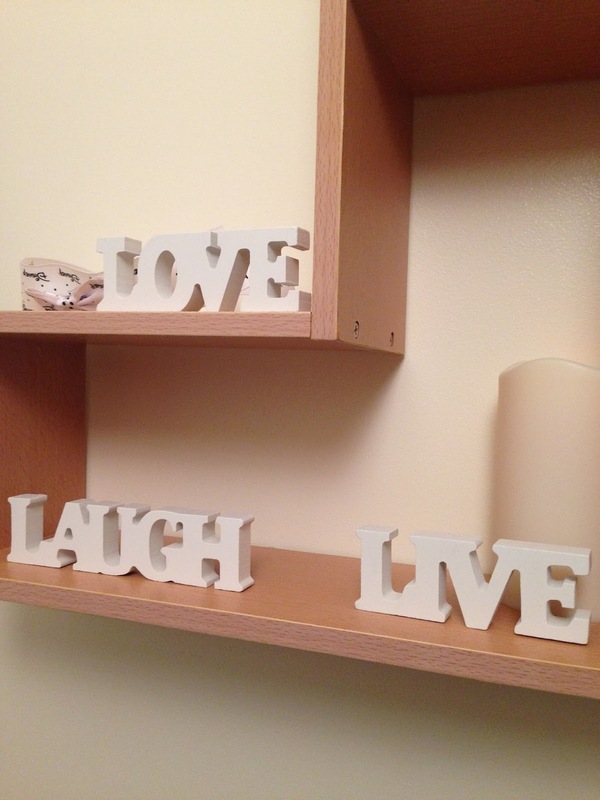 I personally think there is something lovely and very pleasant about having quotes dotted around your room, and just to read them every now and again can always give you that boost that brightens your day. Next I want to talk about CANDLES, my favorite things in the world I have a few spread about my room such as a candy cane scented Yankee Candle (bought in Clinton's cards, Harrogate), a cinnamon apple luminessence candle which I bought from the Card factory, and 3 other samller candles which come in a glass container tied with a rope at the top, I love all of these candles and they smell delicious!. 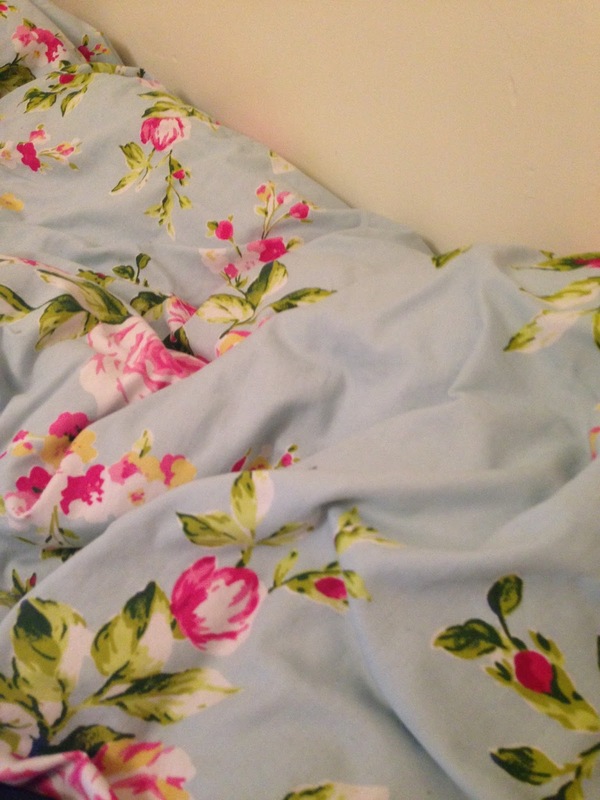 Lastly I'm going to talk about bed sheets and lights (a bit random there, I know). 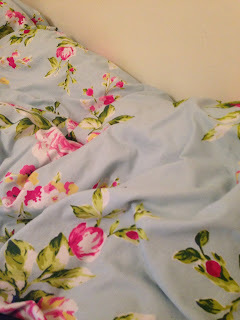 The quilt cover I'm using at the moment is not very winter suitable but the floral pattern is cute and I think it kinda matches my room. And now onto lights, I have about 3 of these electric candles on each of my shelves and they even come with a remote (yay), and this is because you can change their color which is awesome and gives off a really nice soft glow. 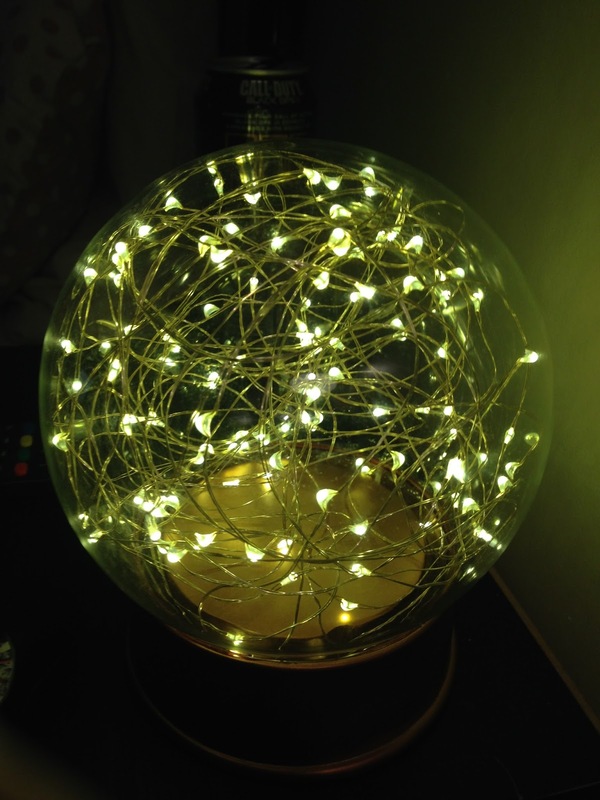 And then a fairly new addition to my room is my light globe, and I think that it just screams Tumblr. Hello!, well I guess I better introduce myself, my name is Abbie and I am an aspiring blogger and photographer. I am 14 years old, and I love Lush, boots and anything to do with candles and Christmas, (which is so soon!). I am going to try and post quite regularly, and most likely I will be writing reviews, perhaps doing a few collabs?, and definitely be sharing my seasonal favorites with you guys!. I know this first post was not the most interesting, (ha ha), but I promise that future content will be much more not so boring. StormySkyPie. Simple theme. Powered by Blogger.